Residential Complex Management Software is beneficial for the landlords having multiple rental properties. That software provides myriad advantages to property owner like the ease of use, ease of accesses, account of financial management with 100% accuracy. Software for property management in conjunction with the internet manages all your property through a website. Tenants can individually apply for any type of rental property, register a complaint, request for maintenance, pay the rent online with security. Moreover, some apartment building management system have chatting module So, you can discuss anything at any time. Custom reporting about individual property units helps you to compare different property units and make a better rental strategy about a particular property. Hence, residential complex software is 100% safe, accurate and efficient. Using building management software you can put more information about a particular rental building. Property or apartment. You can also put images and videos which increase the chance that your property will be rented soon! As building management systems are online, so interested people can find out vacant rental properties on your website and can apply online after going through terms and conditions, payment conditions and any other agreements. Those Multi-features software enables landlords to maintain all the records related to property lease. You can also share these records with tenants and other team members. Online rent collection is one of the most highlighted benefits of any property management software. Yes! Tenants can pay rent online through a secure platform. The software automatically calculates taxes, extra fees and keeps the record of each transaction. Both landlord and tenants have complete access to get custom reports of online rental payments. You can keep the record of maintenance requests of your tenants. Tenants can send a request for property maintenance online. Landlords assign the maintenance task to any team and keep the record of maintenance expenditure. Building Owners can create specific reports to perform research about any particular property unit. It can track depth history about the property can take the better decision about it. 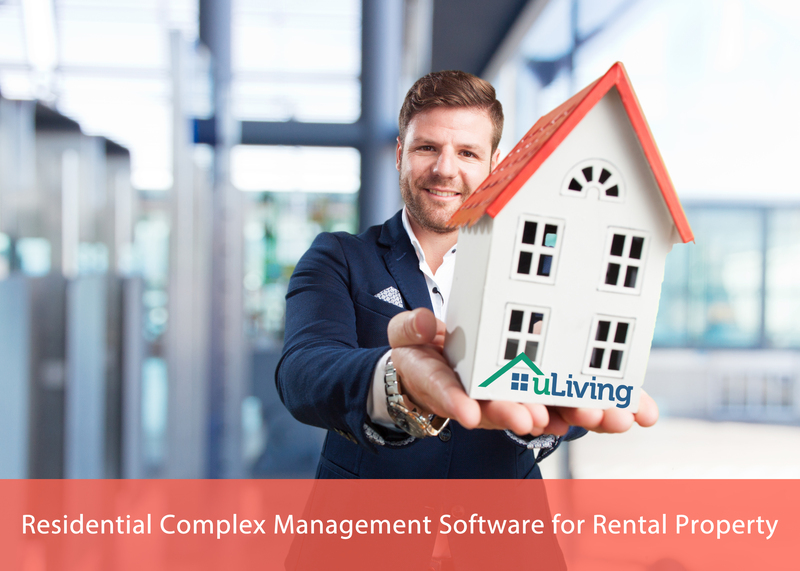 uLiving provides a complete online Residential Complex Management Software package with the full accounting, building maintenance, work orders and utility billing for the Pakistan and USE real estate industry. Its online billing process saves a lot of time for Property Managers and Owners. The user can manage all their real estate rental properties without needing the professional accountant.